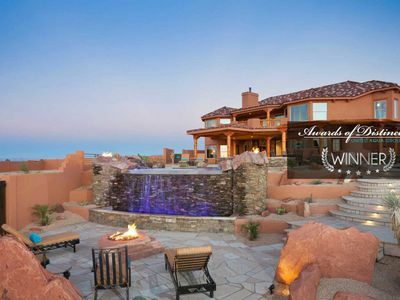 Custom home accommodations and Guided Lake Powell Adventures in one destination. 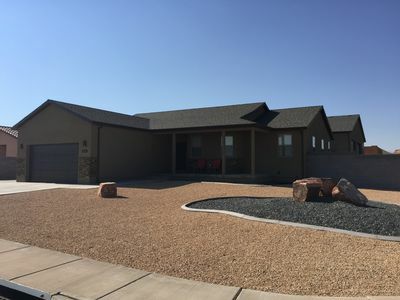 The Lake Powell Adventure House is a newly constructed custom home built for travelers looking to enjoy comfortable custom accommodations and privately guided excursions through-out Lake Powell, Glen Canyon and surrounding areas. 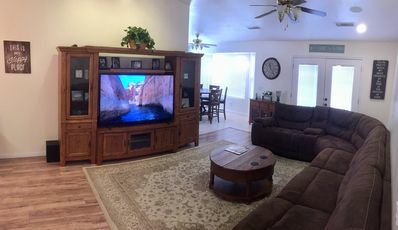 The Owners of the Lake Powell Adventure House, Danny and Mike, live on-site and provide you with hosting and guiding services both prior to your arrival, in planning your custom trip, and during the length of your entire stay. 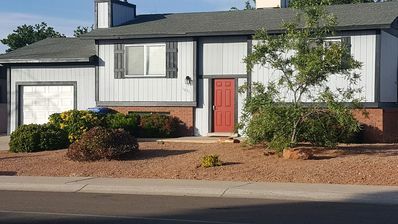 Located in the original neighborhood of Page, Arizona and backing the Page National Championship Golf Course, The Lake Powell Adventure House provides easy and quick access to Lake Powell, Horseshoe Bend, Antelope Slot Canyon, Dining, Shopping and much more. 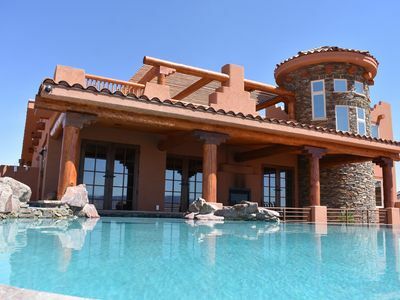 Sitting atop a high, red rock ridge-line, the Lake Powell Adventure House offers a view of a “thousand miles” by day and a view of a “billion stars” by night. 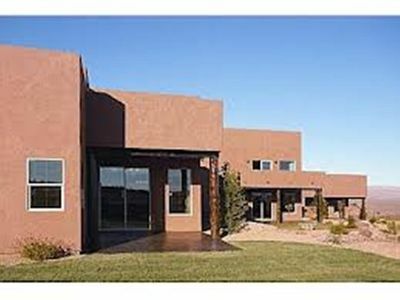 The Lake Powell Adventure House is a 4,000 sq. 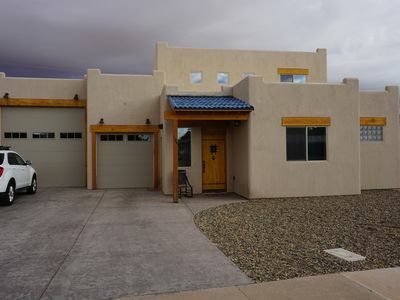 ft. custom home divided into two private living quarters. 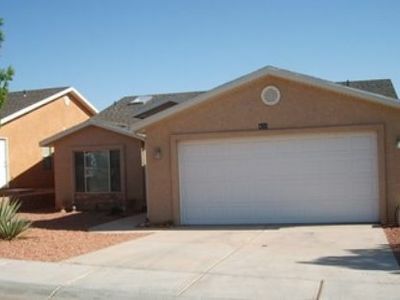 Within the 1,200 Sq. Ft. 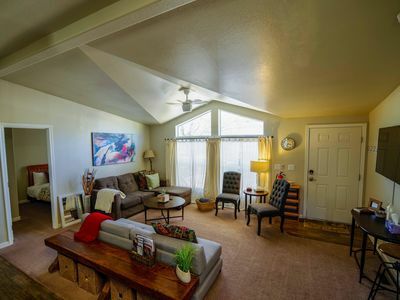 Guest quarters, accessed via separate entry and private stairway, Guests have a clean and comfortable 3 bedroom, 2 bath, Kitchenette-lounge and private balcony. - Sink, coffee maker, hot-water boiler, refrigerator and full kitchen accessories (plates, silverware, cups etc.) and breakfast table. The lounge is a comfortable place to read the paper, sip your coffee and map out your adventure. 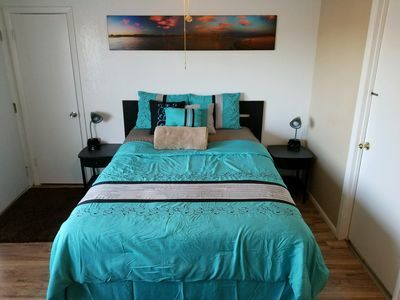 Located right outside your room and adjoining the kitchenette. 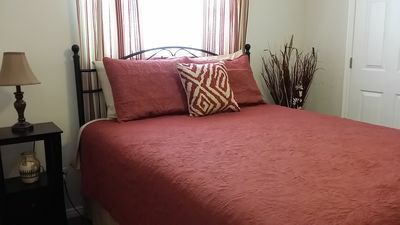 - Laundry Room - Washer and Dryer available for all guests in residence. 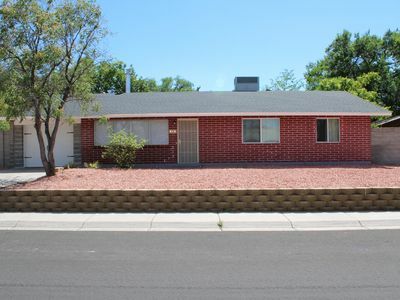 - Backyard; Covered Patio, Yard Games, Barbeque, Grass area, access to 10 mile mountain bike/hiking Rimview trail. 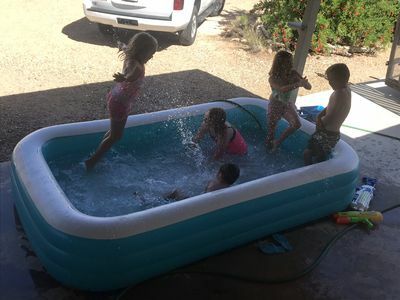 Full Adventure House Stay: When guests choose the "Full Adventure House Stay" a myriad of adventure excursions are included for everyone in your party along with your accommodations. 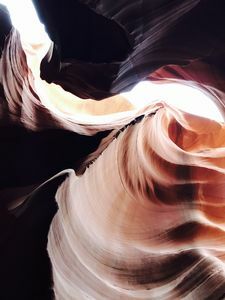 The adventure excursions include a guided kayak tour in a world renown slot canyon, unlimited golf, hiking and mountain biking (fat-tire mountain bikes on-site). Each excursion is custom planned with your hosts and guides to suit your schedule and interests. * This is one of the best ways to really explore Lake Powell. Enjoy private custom trips catered to your timing and tastes while avoiding lines, overbooking and the hassle of scheduling. Have everything you would like to experience available for you in one seamless vacation destination. Accommodations Only - 'Accommodations Only' provides guests with access to the house and access to your hosts and guides during your stay. The Adventure excursions are not included but can be purchased at cost during your stay. 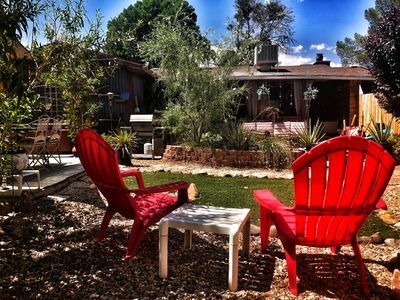 Hosts & Guides: Your Hosts & Guides at the Lake Powell Adventure House are Danny Woods and Mike Collins. 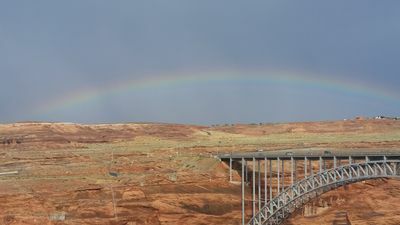 Born and raised in Northern Arizona, Danny and Mike have spent a majority of their lives exploring Lake Powell and the surrounding areas of Glen Canyon Recreational Area. 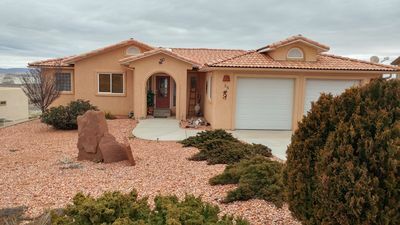 As a top Lake Powell boat Captain and acclaimed fishing guide, Danny's knowledge of the Lake and it's numerous treasures is a priceless benefit for guests in residence. Whether it's dining options, stocking your pre-ordered groceries or guiding you to "seldom seen" places, Danny and Mike are here to assist you during your stay. They are also known to cook up some heavenly grub. Danny and Mike are both readily available by email or phone to answer any questions prior to booking. 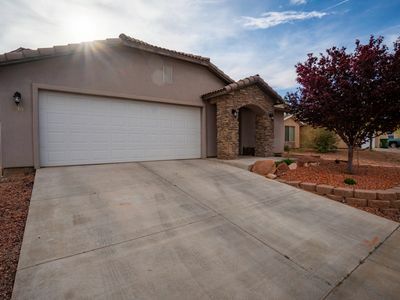 Come Relax At Your Own Family, Dog-friendly Home Close To All The Amenities. 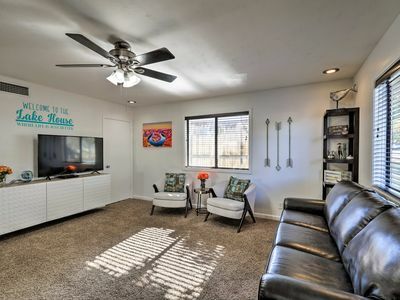 Miller's Corner, quiet home minutes from all attractions. Clean private space. 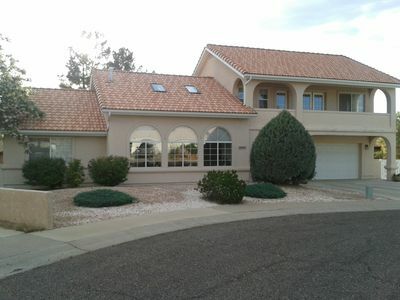 Large Lake Powell View Home, close to all the sights!